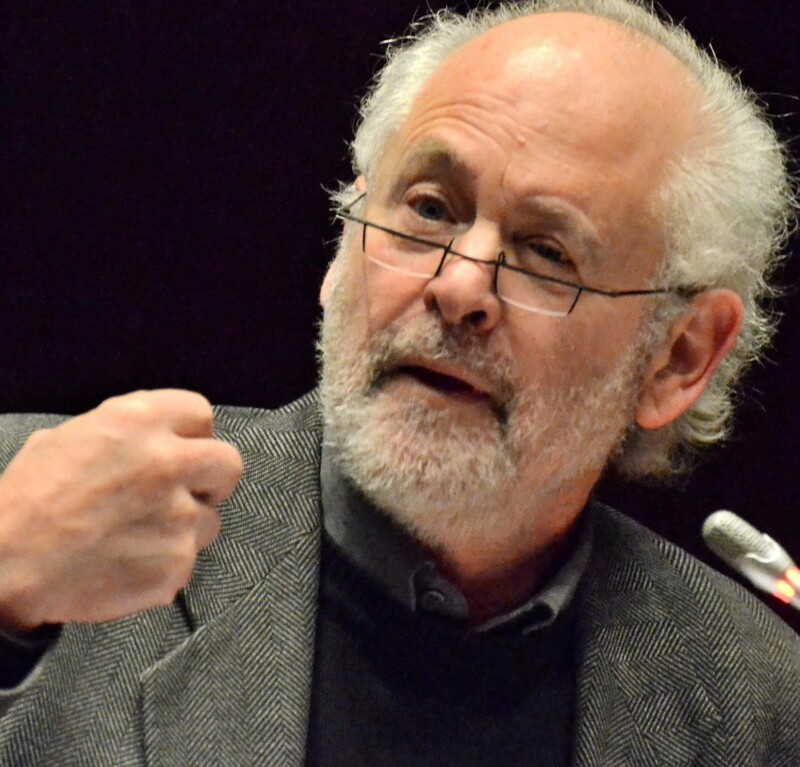 A new edition of Raymond Suttner’s famed struggle memoir has been published. Nicki Gules asks him about the impact, today, of prison and torture – and living a principled life in a time of corruption. Was this a difficult book to write, reliving the experience of torture, imprisonment and your later break with the ANC and SACP? How are you affected by the trauma today? The introduction is new but I had to repeatedly reread the original book in order to make corrections. In doing this I realised that the prison experience was harder than I used to admit. I found this specifically in rereading letters that had had to pass through censors. We concealed what we were actually experiencing because we were not allowed to write about our conditions. Regarding trauma, one often does not directly recognise its impact. It can have an effect on one’s sleep, and other physical effects, at a much later stage. I have been diagnosed with fibromyalgia, an autoimmune illness. The rheumatologist I see believes it is related to my torture and prison experiences. I now recognise that I experience physical pain, in my lower back for example, when I encounter stress, and stress was a given, daily feature in the prison experience. You write about others who need to have their stories told. What I mainly have in mind are people who live in little-known villages, who made important contributions that are relatively unknown. Some are in the former bantustans, such as Venda, and in areas that may not even be on the maps. I came to realise this need when I did research for my book The ANC Underground. I recorded some very important stories, but in a limited way. In some cases other scholars have picked up the thread and taken the work further. You have paid a heavy price for your principles and integrity. With your professional and academic background, you could have been a rich man today. Was it worth it? I never aspired to great wealth, but I took economic security for granted. I assumed I would be able to take care of the basic needs for retirement. One of the effects of being where I am now, on the outside of various spaces, is that retirement is a lot more difficult than I had envisaged, though I did not think a great deal about those matters and was preoccupied with playing a political role. But I am responsible for my own choices and finding a way of resolving these problems. And I said in the book that I gained something immeasurable from having the opportunity to be part of the struggle for freedom, to be a freedom fighter. Those two words ‘freedom fighter’ are seldom used anymore because they have been discredited in the eyes of many people. They have been discredited partly by the crime and grime of the current leadership of the ANC and its allies in government. To be called or claim to be a freedom fighter is something that has to be re-earned every day of one’s life by how one conducts oneself. What advice would you give to others who take a path like yours? The question of taking a path similar to mine may not arise, in that there is unlikely, I hope, to be a need for illegal and armed struggle against the current government. But if there were to be a time when the current leadership were to try to hold on to power illegally, which is possible, it may be that those who resisted would have to mount a counter-force. One sometimes needs patience in building the organised capacity to remedy some problems. You speak of your break with the ANC and SACP leading to severing ties with some people with whom you were close, especially Jeremy Cronin. What is it that you miss in these relationships? I deal with Jeremy Cronin in a few pages because he and I used to be very close, having met in prison and worked together in the United Democratic Front, ANC and SACP, and writing books and doing other political work together. What I miss is no longer there, so that the loneliness I feel relates to the absence, not so much of specific people, but of relationships that comprise what I value. It is impossible to recreate that type of companionship or comradeship with people who have made choices that are antagonistic to what I see as the basis that had initially brought us together. Given that you made so many sacrifices for the struggle in South Africa, do you feel that the way things have turned out has invalidated your efforts? There are never any guarantees in these matters. I was not sure that I would survive to see democracy in South Africa and I have learnt from other struggles that there can be setbacks or reversals of gains unless one is very vigilant. I must admit that I did not think that the ANC or SACP would allow or encourage what has been done, that has undermined our democratic project. But nothing is final and there are very many people who would like to see the democratic promise of 1994 restored. I would go further and suggest that there is a need for ordinary people to ensure that they are more actively involved in democracy, and not simply through voting every five years. That is what many of us hoped to see, and popular involvement may be the most powerful safeguard of our freedom.